Flip Book Maker for PCL-Turn PCL files into life-like digital flip book! Flip Book Maker for PCL is professional flipbook converter that can create virtual 3D eBook with realistic book-like interface from PCL files. 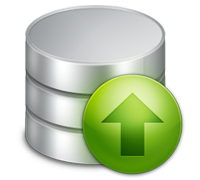 This software will surely make the static PCL files more attractive and lively because of the amazing virtual effect. And you can publish the animated flip edition in different formats. Easy share with families and friends via e-mail, Facebook, Twitter…. 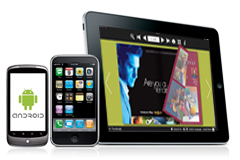 Flip book Maker for PCL can easily and quickly turn PCL4, PCL5e, PCL5c, PCL XL (PCL6) files into stunning digital flipping books, catalogs, magazines, brochures, booklets. 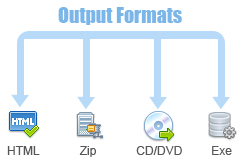 And you can have them in different output formats: HTML, Zip, Exe, mobile versions and burn to CD. 4. Burning to CDs allows you to store eBooks in CD, DVD and then play on computer. Once you publish the interactive electronic publication, you can view them on not only PCs, but also on portable devices (iPad, iPhone, Android mobile phones…) via browsers. 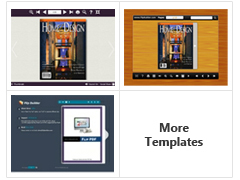 Only having an animated flip eBook is not attractive enough, but with a beautiful template would make it perfect. 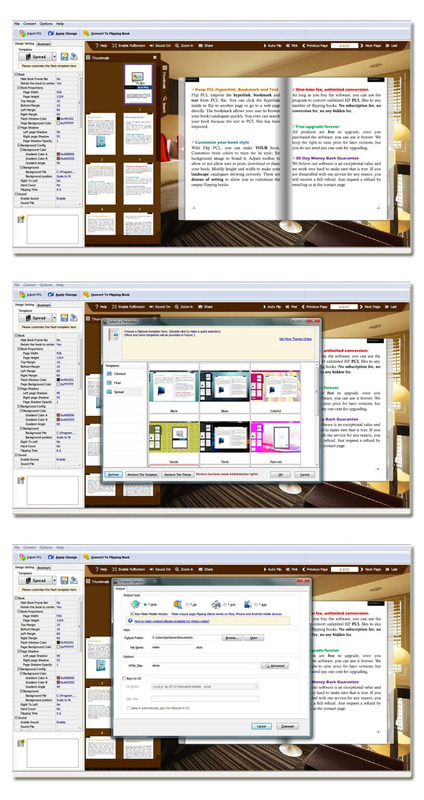 Flip Book Maker for PCL provides you with different built-in templates. With these beautiful templates, you can not only make the 3D flash page turning e-book more eye-catching, but also save time. And in order to meet your increasing needs, we are trying to update the existing templates. One of the most outstanding advantages of Flip Book Maker for PCL is to allow you to customize your virtual 3D eBook in your favorite style. With the powerful custom settings provided, this flipbook converter enables you to add background image, music and bookmark; define logo, book title, author, website, e-mail and book info; show/hide tool buttons and icons; select a language for the realistic page flipping book…. 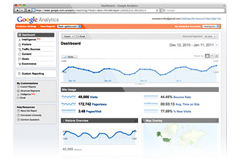 The Google Analytics Integration is another powerful function of Flip Book Maker for PCL. 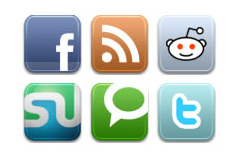 With this integration, you can track the statistics of your digital online publication. Thus you can have a clear idea of how the pages are performing, and then you can optimize your strategy. Well, since you have created such virtual publication, your readers will surely like it. And they can't help to share with their families and friends. an amazing Flip Book Maker for PCL has made it very easy, they just have to click the "Share" button, and then they can share your great creation with others via e-mail, Facebook, Google, Twitter, Digg and other social networks. 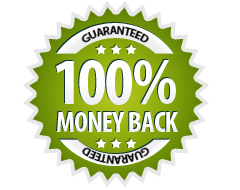 We do not charge any subscription fee or conversion fee, once you purchase our product, you can use it forever, and you can convert as many PCL files as you like. Time is progressing, so is our product. We are dedicated to upgrade our products so as to satisfy our customers, once you have purchased our product, you don’t need to pay for the upgrading for the later version. We do not promise that we sell our product at the lowest price, but that we offer high quality products and considerate after-sale service. 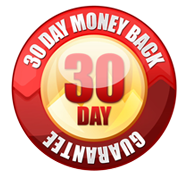 If unfortunately, you are not satisfied with our products, you can get a full refund within 30 days after purchase. 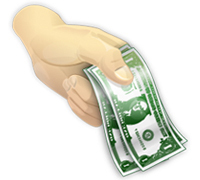 You can contact us by emailing to: support@flip-book-maker.com. 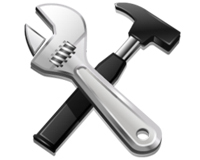 ---(4)Define HTML title or advanced settings with keywords and description. 17. Help button allows you to add Help image or Flash to guide the readers. 16. Use help button to get information of this software. Your software is amazing and the output flipbooks are really fantastic and remarkable!